Netflix has just released a nearly three minute trailer for season three of Stranger Things. The critically acclaimed sci-fi comedy/drama coming-of-age thriller takes place during the summer of 1985 when our favorite young monster fighters are out on summer break. Netflix’s award-winning series was created by writers Matt Duffer and Ross Duffer. 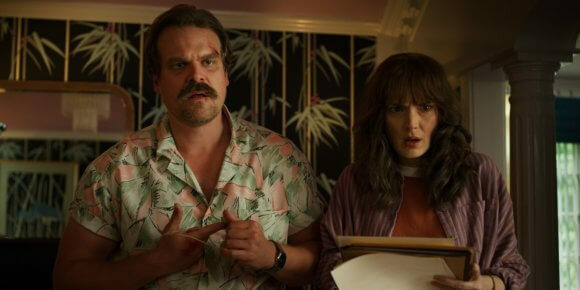 The cast of season three includes Winona Ryder as Joyce Byers, David Harbour (the new Hellboy) as Chief Jim Hopper, Finn Wolfhard as Mike Wheeler, Noah Schnapp as Will Byers, Millie Bobby Brown as Eleven, Caleb McLaughlin as Lucas Sinclair, and Gaten Matarazzo as Dustin Henderson. 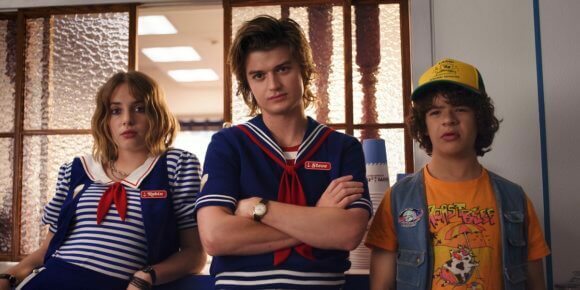 Cara Buono is Karen Wheeler, Natalia Dyer is Nancy Wheeler, Charlie Heaton is Jonathan Byers, Joe Keery is Steve Harrington, Dacre Montgomery is Billy, and Sadie Sink is Max. Princess Bride‘s Cary Elwes takes on the role of Mayor Kline and Jake Busey plays a character named Bruce in a guest starring role. 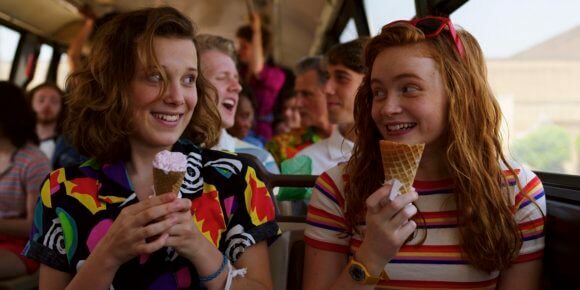 Stranger Things season 3 premieres on July 4, 2019.